What is the best way to award a little angel? 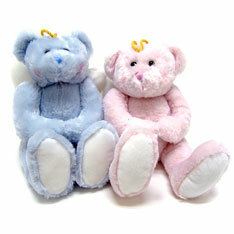 With an angel of course, 10” plush angel bears sold assorted blue and pink, and sold by the each. $6.30 each for 24 or more. $5.60 each for 48 or more.